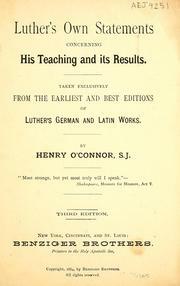 2 editions of Luther's own statements concerning his teaching and its resu... found in the catalog. Add another edition? 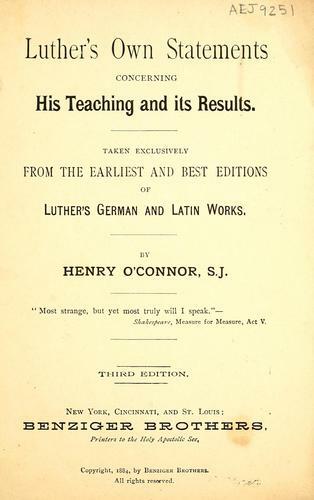 Are you sure you want to remove Luther's own statements concerning his teaching and its results from your list? Published 1885 by Benziger Brothers in New York [etc.] . On cover: "Third American edition." June 30, 2011 Created by ImportBot Initial record created, from Internet Archive item record.